What is an adjectival phrase? What is an adjectival clause? What’s the difference between them? An adjective is a word that modifies a noun. They are the colorful emotional words that spice up the language. For example, the quartet of adjectives based on the ancient medical theory of humors—”sanguine“, “choleric“, “bilious“, and “phlegmatic“—span the range of human dispositions. A phrase can be either a prepositional phrase (preposition + noun-object) or a participial phrase (participle form of a verb, with possibly a direct object and/or adverb). If it modifies a noun, then it’s an adjectival phrase. The independent clause of the sentence–main subject and main verb—will not be an adjectival clause. A dependent (a.k.a. subordinate) clause also has its own subject and verb, and if it modifies a noun, then it’s an adjectival clause. 1) The book on my desk is by Tolstoy. The preposition phrase “on my desk” is an adjectival phrase. It modifies the noun “book”—it specifies which book. 2) Diogenes is remembered as the man carrying a lantern in broad daylight. The participial phrase “carrying a lantern in broad daylight” is an adjectival phrase. It modifies the noun “man” — it specifies which man. Incidentally, within that participial phrase, the prepositional phrase “in broad daylight” is an adverbial phrase. It modifies the verb participle “carrying”—it specifies when he carried the lantern. 3) The Lone Ranger riding into the sunset is a vivid memory for an older generation of Americans. The participial phrase “riding into the sunset” is an adjectival phrase. It modifies the noun “Lone Ranger” — it specifies the setting/activity of the Lone Ranger at that moment. The dependent clause “who hates dogs and children” is an adjectival clause. It modifies the noun “man” — it specifies what kind of man. 5) “I have a dream that my four little children will one day live in a nation where they will not be judged by the color of their skin but by the content of their character.” — the Rev. Dr. Martin Luther King, Jr. This is a double-whammy. The gigantic dependent clause “that my four little children will one day live in a nation where they will not be judged by the color of their skin but by the content of their character” is a big adjectival clause. It modifies the noun “dream” — it specifies what kind of dream. Furthermore, the clause “where they will not be judged by the color of their skin but by the content of their character” is also an adjectival clause. It modifies the noun “nation” — it specifies what kind of nation. Thus, this famous sentence has one adjectival clause nested inside another. Notice, also, the powerful use of parallelism. Such a high level of grammatical sophistication, conveying lofty moral ideals, is not at all surprising from one of the finest orators this nation has ever seen. 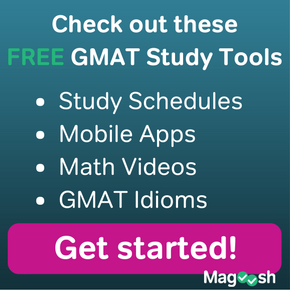 Why Are Adjectival Phrases & Clauses Important for the GMAT? Like adverbial phrases, adjectival phrases are one of the marks of sophisticated writing. 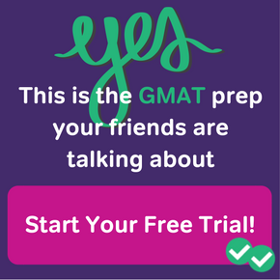 I guarantee you will see them all over the GMAT Sentence Correction section. Learning them now, you will be forearmed. 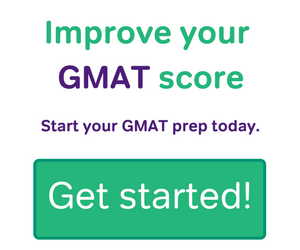 Furthermore, the more fluent you become with adjectival phrases, the more effectively you can use them in your own writing, including in the Analytical Writing Assessment of the GMAT; a well-chosen adjectival phrase will color a sentence with a vivid sense of tone, the perfect enhancement for any argument. The participle verb “riding” functions primarily to conjure up a descriptive mental image– to make you picture a man who is on top of a horse and is in motion, in the dramatic light of dusk. So this could be said to be a phrase, and not a true clause with a subject, verb and predicate. That being said, a phrase structured in this way is a gray area among grammar teachers. Most language instructors (including Mike) would treat this as a phrase in which “riding” is an adjective/descriptive verb participle. But some grammar scholars might argue that this is a clause disguised as a phrase, because it has a subject (a man), a form of a verb (riding), and a prepositional phrase (into the…), giving it a very clause-like pattern. you have indicated that the dependent clause begins with words falling in the mnemonic “on a white bus”. So, in this case would be still call “who hates dogs and children” a dependent clause ? “Who” is a relative pronoun (not a conjunction) that can be used — as in this case — to introduce a dependent clause. So, yes, “who hates dogs and children” is indeed a dependent clause. I was writing a paper and the requirements were to add an adjective and adverb clause and phrase. I totally forgot what they were so I looked t up and found your amazing website. I will definitely be using your website again. It was a huge help. Adjectival clauses often being with a relative pronoun, such as who ,whom, whose,which and that so can it be with the relative adverbs too. Like where, when and why?? “I have a dream that my four little children will one day live in a nation where they will not be judged by the color of their skin but by the content of their character.” — the Rev. Dr. Martin Luther King, Jr. Trying to follow “Not X… But Y…” with once outside concept you explained. 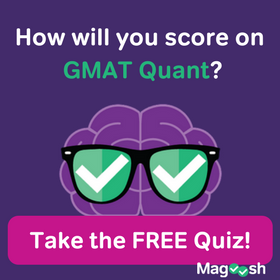 I am about to take my GMAT in couple of weeks and through your blog I am able to fill those loopholes and get a finishing touch to my preparation. Thanks a lot for such a great content. I’m happy to help. 🙂 Technically, yes, the “not” would have to come before the first “by” if this were a GMAT sentence. In the context in which MLK was speaking, what he said was perfectly clear, and in fact, the “not” was skilfully placed rhetorically, but that level of rhetoric is not a concern on the GMAT. I hope this helps. 1)	He dipped his pen into the ink pot by the book on the table. Now there are three phrases- “into the ink pot “, “by the book” and “on the table”. I am sure the first phrase “into the ink pot” is an adverb phrase as it is clear that it modifies the verb dip. However, the ambiguity is due to the other two phrases. I am not sure whether “by the book” and “on the table” are adverb phrases or “adjective phrases”. It will be really nice if you can diffuse the ambiguity. Thanks in advance. Remember that noun-modifiers (i.e. adjectival phrases & clauses) always always “touch” the noun they modify. Here, “by the book” modifiers “ink pot” — it answers the question “which ink pot?” “The one by the book.” The phrase “on the table” modifies “book” —- it answer’s the question “which book?” “The one on the table.” Both of those are noun-modifiers, i.e. adjectival phrases. Shouldn’t it have been ” .. will color a sentence with a touch of vivid sense of tone..” ?? I hope you will reply to this. 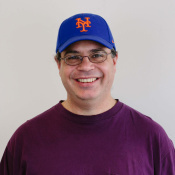 Article is great like always! You’re right — something was funky about that sentence. I think I started saying one thing, changed my mind to say something else, but didn’t edit out the first thing. I simplified the sentence — it should be fine now. Thanks for pointing this out, and thank you for your appreciation. Where there are multiple adjective clauses modifying one noun connected in a parallel structure, is it necessary to repeat the relative pronoun?